The Alcade (The Offical Publication of the Texas Exes) has reported an issue of major concern. 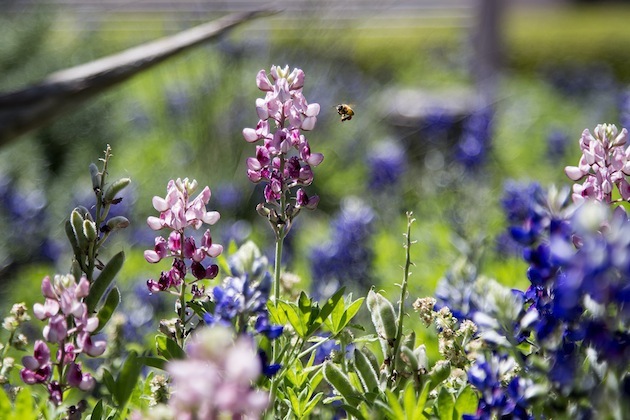 Evidently Markus Houge, Program Coordinator for Irrigation and Water Conservation at the University of Texas, nearly fainted when he discovered a tainted patch of beloved bluebonnets. The flowers in questions have all the characteristics of a typical bluebonnet, except the hue isn’t blue. The clue to the origin of the not so blue bluebonnet may lie in the unwelcome maroon color of the freshly blossomed flowers. UT believes this dastardly deed is the work of pranksters from Texas A&M who have sown their seed in the flower bed of the Texas faithful. The principle of sowing and reaping is taught in the Bible. The principle is that you reap what you sow; later than you sow; and, more than you sow. Hosea was applying this principle, when he said: Plow your fields, scatter seeds of justice, and harvest faithfulness. Worship me, the Lord, and I will send my saving power down like rain (10:12).